The results of hydrochemical and hydrobiological studies performed in October 2009, July 2010, and July 2016 in the Blagopoluchiya Bay of Solovetsky Island are given. The concentrations of petroleum hydrocarbons, phenols, oxygen, nutrients, and chlorophyll a, BOD5, and qualitative and quantitative compositions of phytoplankton have been determined. The integrated pollution and eutrophication indices have been calculated, and the up-to-date water quality in the Blagopoluchiya Bay has been assessed; increased level of seawater pollution has been revealed. The obtained results are important from both scientific and practical viewpoints with respect to environmental safety of the community facilities in the study region. Original Russian Text © O.N. Mokhova, I.Yu. Makedonskaya, Yu.V. 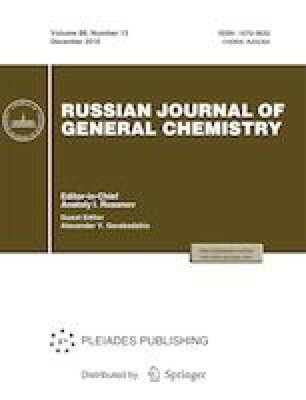 Novikova, R.A. Mel’nik, 2018, published in Ekologicheskaya Khimiya, 2018, Vol. 27, No. 5, pp. 270–279.